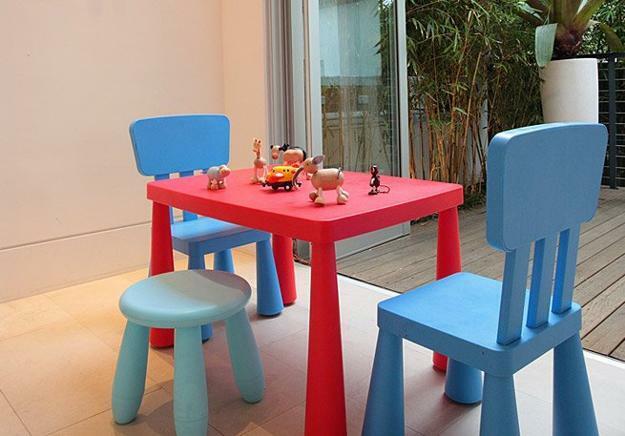 Small backyard ideas are simple, functional and comfortable, adding style to tiny outdoor living spaces. A small deck or backyard patio designs with green plants and flowers make tiny backyards look more inviting and attractive. 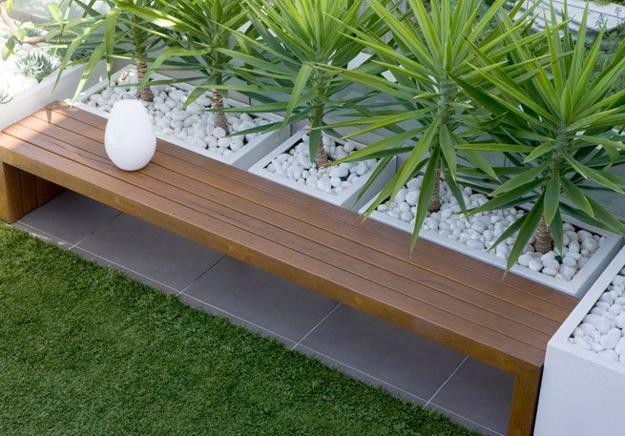 Even with a very small backyard you can enjoy a nice seating area, lush green colors and natural beauty. 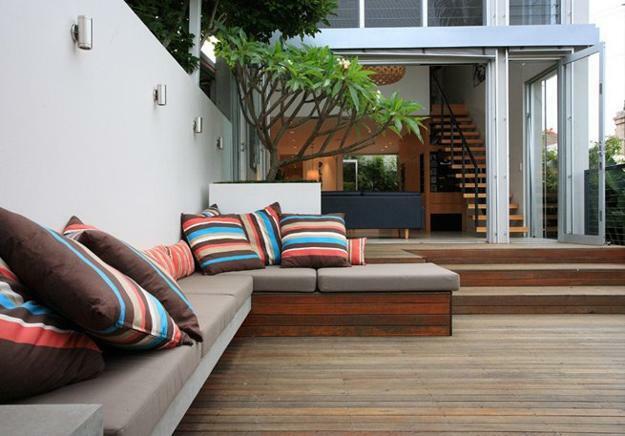 Wooden deck or stone patio designs constructed in a corner save space and visually increase small backyard sizes. Your wooden deck or patio ideas should be functional, and not just decorative, stretching your home interior and connecting them with outdoor living space. Protected from the sun and providing a pleasant view of plants and flowers, tiny wooden deck and patio designs beautiful small backyards. Patios can be constructed from pavers, flagstone or pea gravel, creating different looks. Pea gravel is the easiest way to design a cozy outdoor sitting area. Plants, flowers, shrubs and green grass are excellent for coloring your small backyard design or create a tiny tropical garden. Bright colors and interesting shapes of large green leaves, thick roots, bamboo and creepy venous stems are beautiful elements of the tropical garden design. 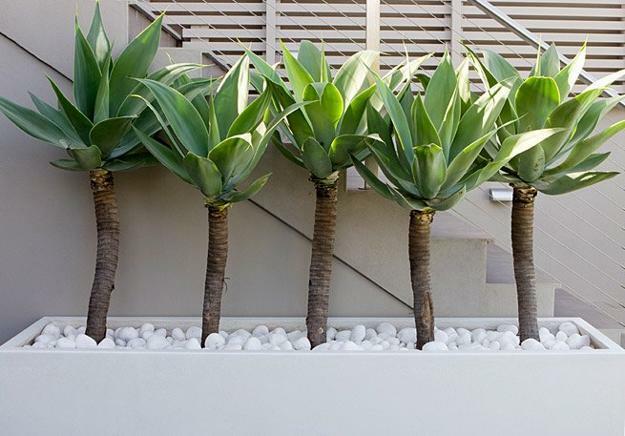 Tropical plants in attractive, large containers are a gorgeous way to add contemporary or vintage style to your backyard ideas and tropical garden design. 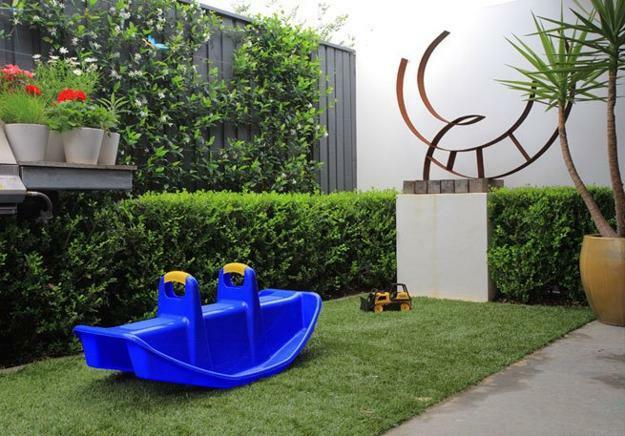 Small backyard designs are ideal for busy people or modest budget. 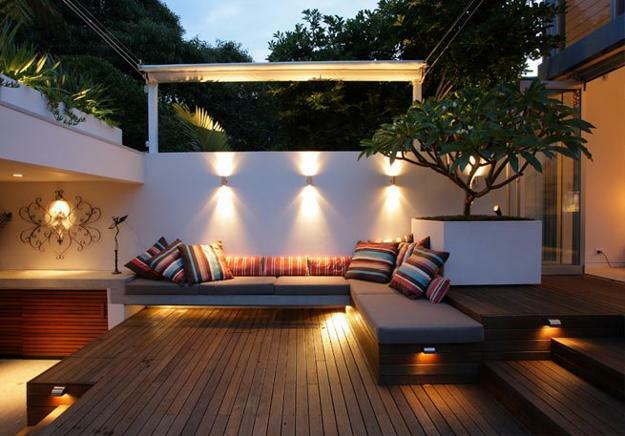 Small outdoor living spaces do not require to spend a fortune or lots of time for maintenance. 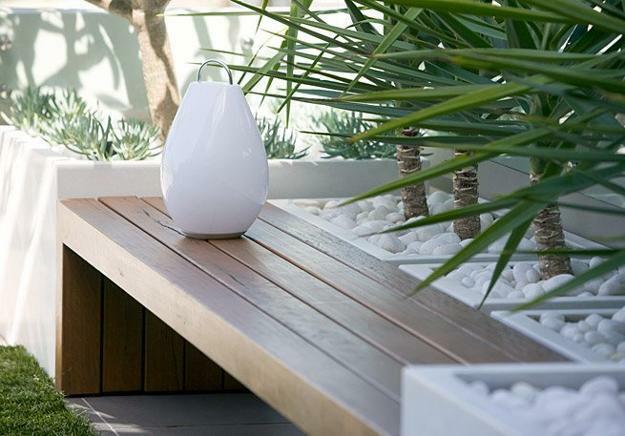 Perfect little garden design can be created with inexpensive plants, smart landscaping ideas, a wooden deck with built-in outdoor furniture and all you already have in your backyard as garden decorations. 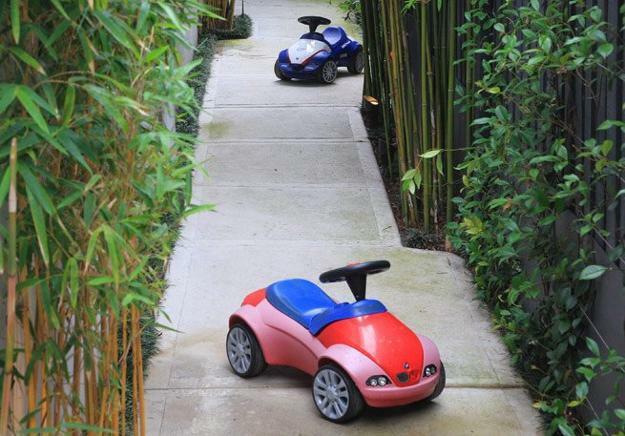 Creative backyard landscaping ideas can add playground elements to outdoor living spaces and make your garden design kids-friendlier. Palm trees and green plants with large green leaves, included into your small backyard landscaping, create fabulous look and can add more privacy to your small outdoor living spaces. Water features remind of tropical forests also. 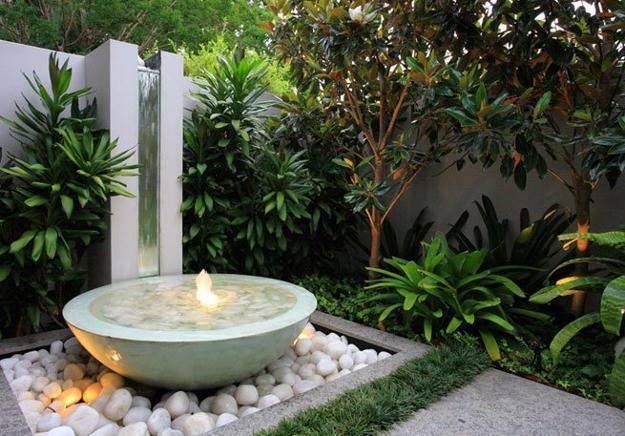 A small fountain is ideal for tiny backyard designs. 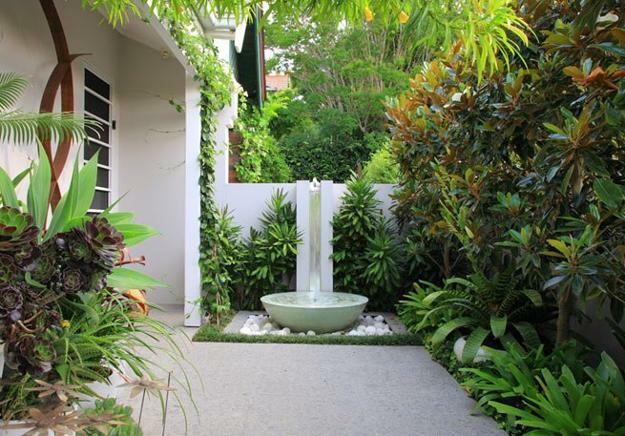 Calm, flowing, dripping or bubbling water create peaceful and tranquil backyard designs. 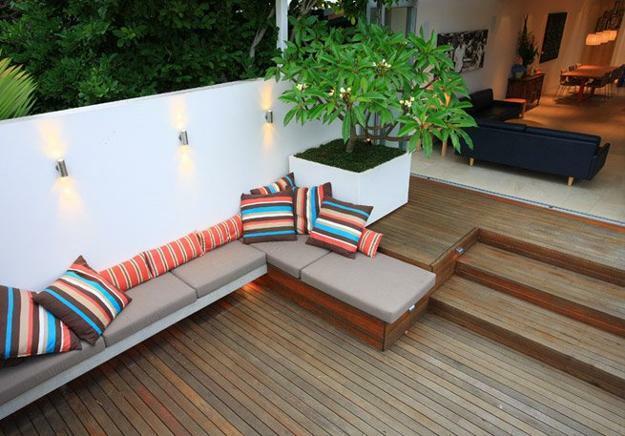 Creative small backyard landscaping ideas can turn tiny outdoor living spaces into beautiful and elegant retreats. Small backyard designs do not require lots of time for maintenance, while adding cozy outdoor rooms that increase home values. Small backyard landscaping with plants makes your home a great place to live in. A beautiful garden design is not about the size, but about the mood, elegant style and atmosphere of attractive and peaceful retreat, a place to get away from it all. Shrubs and plants with large green leaves create privacy, soften the edges, and make backyard design look pleasant. Some plants grow tall enough to create a gorgeous centerpiece for your small backyard landscaping. Edible herbs in attractive containers bring the aroma and add to attractive looks of small backyard designs. Green plants on simple and elegant flowerpots and containers create small sections of your garden design, highlighting particular types of plants and creating fabulous garden decorations that add texture, lush green color and unique shapes to small backyard landscaping ideas. 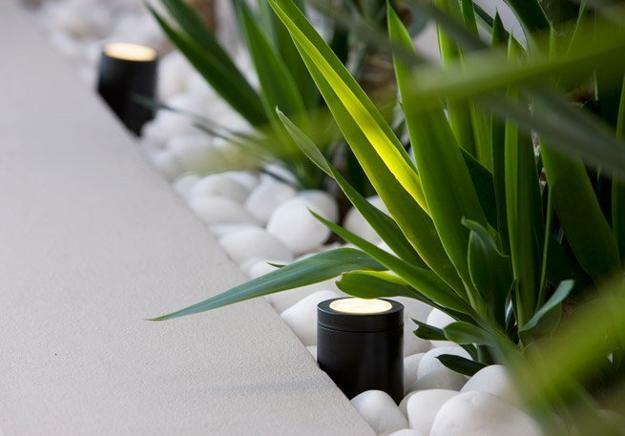 Backyard landscaping experts combine short and tall green plants with white pebbles for visual appeal, convenience, and the best use of small living spaces. Small details make tiny backyards beautiful and impressive. 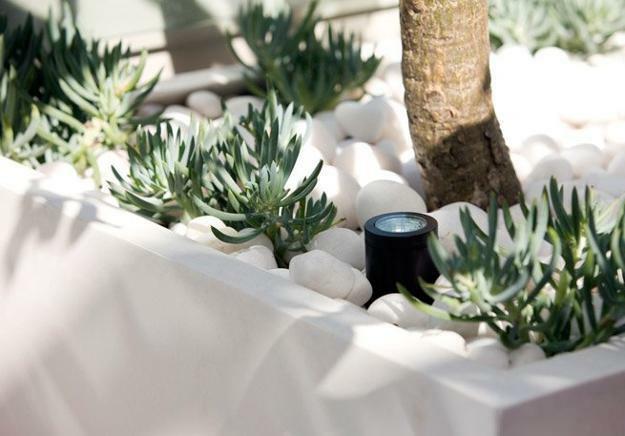 Simple containers in contemporary or any other garden design style are a great way to expand small backyard ideas and create beautiful focal points, that make a statement and add a variety of visual interest. There are so many wonderful containers and creative garden decorations that can be added to your small backyard landscaping without taking too much space. 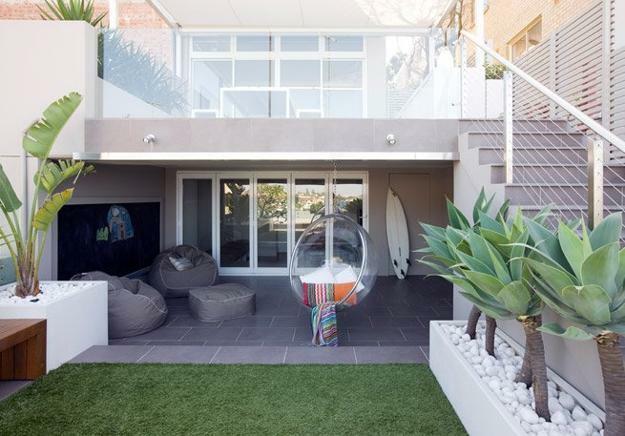 Creating a beautiful garden design takes a little research, enthusiasm and planning, and with a patience you can create amazing, attractive and welcoming small garden design to relax and enjoy the nature in style.